It’s that time of year again, with grossly overpriced roses, chocolates, gift certificates to everything from day spas to fancy restaurants — Happy Valentine’s Day! Of course, it’s only happy if you’ve got that special someone, or if you’re part of the burgeoning movement of young singles who celebrate with their other single friends. But even if you do celebrate with the love of your life or your BFFs, there are many for whom happiness and love exists only at the surface level. Increasingly these days, many women — and men, for that matter — experience a just-under-the-surface feeling of loathing and hatred for themselves. And a good number of those act on these feelings by engaging in self-harm. Self-harm is not a mental illness, though. It is simply a symptom of a larger issue. It is a symptom of pain and the inability to cope or deal with that pain. It is, in essence, a release of pent-up emotion. In the case of cutting, NAMI reports that “injuring yourself stimulates the body’s endorphins or pain-killing hormones, thus raising [your] mood.” But then the feeling of shame and guilt comes, and you’re down in the dumps again. It’s a vicious cycle. A person who self-harms is not necessarily seeking to commit suicide; however, such individuals do have an increased risk of having suicidal thoughts. If this is you, or if this is one of your friends, please seek help. There are better ways to cope with the pain. Thousands of people seek counseling, and it helps. I was one of those who would never have considered counseling, but my daughter went through a very rough patch in her life, and counseling did help her a great deal. In fact, I’m convinced it saved her life. Ultimately, it gave her what she needed most — coping skills. “Instead of cutting myself, I will [blank] … And when these feelings arise, I will [blank] instead of hurting myself.” That doesn’t mean the urges aren’t there; it simply means she deals with the pain in a more constructive way. For those who loathe and hate themselves, there’s nearly always an underlying reason — but it might be a reason they neither know, nor understand. As Christians, we’re taught to “love one another,” and “love others as Jesus loves you.” But the most difficult command is to “love your neighbor as yourself.” I mean, if you hate yourself, how do you love your neighbor? 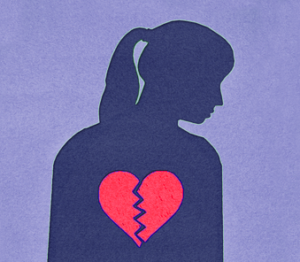 Loving yourself is hard — and nearly impossible at times — but it’s possible, because it’s a posture of the heart. It has been said that children aren’t born racist; they learn it from someone. In the same way, nobody is born hating themselves. Something happens, usually in childhood, and it’s an emotional burden that becomes too large for a child to process. This leads to the child blaming themselves for the event and turning their anger inward on themselves. Years later, you have an individual who self-loathes and self-harms and may not even understand why. I guarantee it’ll be the hardest thing you’ve done. You may not even be able to look yourself in the face as you say it. And you definitely won’t believe yourself the first time. In fact, as you’re saying it, you may feel pent-up frustration and feel like this is the stupidest thing you’ve ever done. But look in the mirror. You’re standing there giving it a try. Somewhere deep inside, you’ll realize you need this. And you’ll probably have to force yourself to say, “I love you.” As much as you may want to, do not skip this part. Say it even if you don’t mean it. Do this every couple of days, and you’ll find it getting easier. Most of us self-loathers have to “fake it, till you make it,” but that moment will come. So today, treat yourself right for a change. Show yourself some affection. Spoil yourself. Set aside whatever it is you usually use to harm yourself, and buy something for yourself.